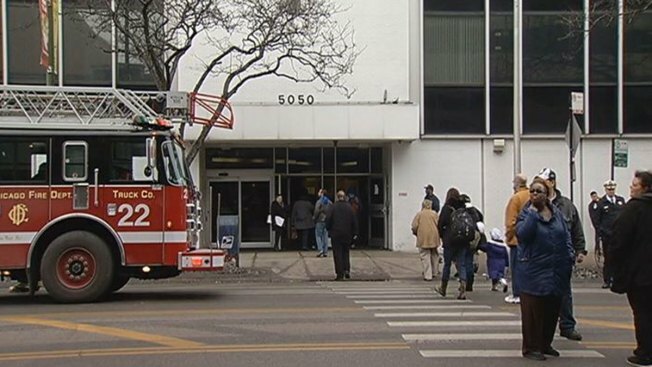 A building on Chicago's north side that houses workers from the Department of Human resources was evacuated Tuesday morning after a small electrical fire. The building, at 5050 North Broadway, was profiled earlier this year by NBC 5 INVESTIGATES after workers complained of bedbugs, mice, temperature control issues, inadequate space and plumbing leaks. Additionally, the building's owners were cited last year because of wiring issues. No injuries were reported in Tuesday's fire, which was confined to an electrical vault outside the commercial building, according to a Tweet from the Chicago Fire Department. Earlier, a department spokesman told NBC Chicago the building was evacuated merely as a precaution. It was a minor fire that resulted in a bit of smoke in the basement and outside. The fire was struck out shortly after 10 a.m.